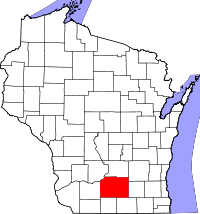 Dane County was organized in 1836 out of Iowa and Milwaukee counties, 12 years before statehood. Marriage records date to 1839, births to 1860, and deaths to 1876, but registration was not universal until passed into law in 1907. The Wisconsin Historical Society maintains these older records, with a statewide index. Records for October 1907—present can be ordered locally in Madison, the county seat and state capital, from either the Register of Deeds or the Vital Records Office (of the Wisconsin Department of Health), with divorce records from the Madison Clerk of Court. Uncertified copies are public records, available by mail, fax, or in person for $20. Note: Register of Deeds will only release information over the phone between the hours of 9AM-11AM. You can email the agency if you have questions.